सरस्वती is the goddess of knowledge, music and the arts. 5 I am asking Goddess Vani (Saraswati) who is in the form of Om Shrim, Hrim and Klim by offering oblation; to protect my hands. I am asking Goddess Bhagwati Sarvatmika (Saraswati) who is in the form of Om and Klim by offering oblation; to protect my feet. I am asking Goddess Vani (Saraswati) by offering oblation; to protect my body and everything. I am asking Goddess Om Swaroopa (Saraswati) who resides in everybody's throat to protect me from east. I am asking Goddess Om Hrim Swaroopa (Saraswati) who is always on the tip of the tongue to protect me from south-east. 6 The Mantra, "Om Aem, Hrim, Shrim Saraswatyai Budhajananyai swaahaa "is called as Mantraraj (king among the Mantras). I request this mantra to protect me from south. The Mantra, "Aem, Hrim, Shrim is a three letter Mantra. I request this mantra to protect me from south-west. I am asking Goddess Om Swaroopa (Saraswati) who resides on tip of tongue of poets, to protect me from west. 9 Long back this was told by my father Dharmadev on the mountain Gandhamadan. You are my disciple and hence I told the kavacham to you. Don't tell the kavacham to everybody (who is not the right person to hear it). Wise devotees are advised to worship his Guru by offering him Sandal, Gandha (Sandal pest) and ornaments and then bowing to the Guru, devotee can start reciting this kavacham. Thus here completes this Saraswati Kavacham called as Vishwajaya and which is from Brahmavaivarta Poorana. Aing is the bij-akshar (seed syllable or condensed form of the larger mantra) of Saraswati. If repeated 500.000 times, one can see Saraswati and will become enlightened. 50.000 Repetitions should be accompagnied by Homa. Listen to Sri Saraswati Sahasranama & Other Stotras durning Saraswati Puja, a Special Navratri Bhajans by Dr.R.Thiagarajan. Saraswati Puja is undoubtedly the most popular festival in the eastern region. Saraswati is the goddess of learning, arts and crafts. According to her different specialities she is known by different names like Bakdevi, Biraj, Sarada, Brahmi, Satarupa, Mahasweta, Sarbasukia, Prithudar, Bagiswari and ofcourse, Saraswati. Saraswati (Sanskrit: सरस्वती, Sarasvati) is the Hindu goddess of knowledge, music, arts, wisdom and learning. She is a part of the trinity of Saraswati, Lakshmi and Parvati. All the three forms help the trinity of Brahma, Vishnu and Shiva to create, maintain and regenerate-recycle the Universe respectively. The earliest known mention of Saraswati as a goddess is in Rigveda. The religious Hindu festival of Saraswati Puja, also called Shree Panchami; the seasonal spring festival of Vasant Panchami observed in many regions; the Basant Festival of Kites of the Punjab region; observance in Gurdwaras as a Sikh festival; the birthday of the Deo-Sun God in Bihar and a harvest festival. The festivals are celebrated on the fifth day of Magha. Prayer through Mantras is the wing with which the soul flies to heaven and meditation the eyes with which we see God. Prayers chanted with devotion, faith and emotion gravitate the God or Goddess concerned and invoke powers from the infinite cosmic energy. The Guru imparts a Gurumantra for the disciples so that they realise that the Guru has bestowed His grace upon them. 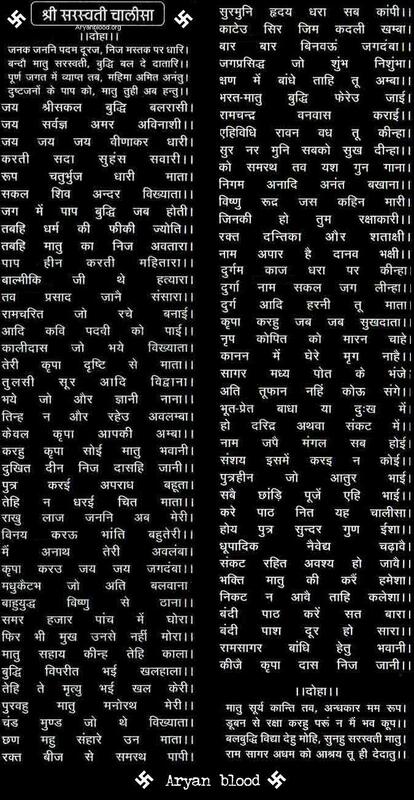 This article explains importance of chanting the Name given by the Guru, misconceptions about Gurumantra and why it needs to be kept secret. Saraswati is a Hindu Goddess of Learning/ Beautiful Goddess of Intellect. She is the goddess of speech (Vac), the Flowing-One. She represents the union of power and intelligence from which organized creation arises. Saraswati posseses all the learnings of the the Vedas, scriptures, dancing, musical power and poetry. She revealed language and writing to man. Her origin is the lost Vedic river Saraswati. This is the source of her profound connection to fluidity in any aspect (water, speech, thought, etc.). She is wisdom, fortune, intelligence, nourishment, brilliance, contentment, splendour and devotion. Listen to and Chant this Powerful Sri Saraswati Sahasranama Stotram by Prema Rengarajan | Navratri Special | Chant this Saraswathi Sahasranamam During Saraswati Puja Saraswati is the Hindu goddess of knowledge, music, arts, wisdom and nature. She is a part of the trinity of Saraswati, Lakshmi and Parvati. All the three forms help the trinity of Brahma, Vishnu and Shiva in the creation, maintenance and destruction of the Universe. The Goddess is also revered by believers of the Jain religion of west and central India. Saraswati is strongly associated with flowing water in her role as a goddess of knowledge. She is depicted as a beautiful woman to embody the concept of knowledge as supremely alluring. 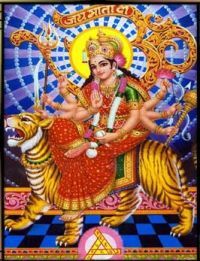 She possesses four arms, and is usually shown wearing a spotless white sari and seated on a white lotus or riding a white swan. Saraswati Puja is undoubtedly the most popular festival in the eastern region. Saraswati is the goddess of learning, arts and crafts. According to her different specialities she is known by different names like Bakdevi, Biraj, Sarada, Brahmi, Satarupa, Mahasweta, Sarbasukia, Prithudar, Bagiswari and ofcourse, Saraswati. The religious Hindu festival of Saraswati Puja, also called Shree Panchami; the seasonal spring festival of Vasant Panchami observed in many regions; the Basant Festival of Kites of the Punjab region; observance in Gurdwaras as a Sikh festival; the birthday of the Deo-Sun God in Bihar and a harvest festival. The festivals are celebrated on the fifth day of Magha.